DrayTek's new 2926 series routers are finally here and all set to replace our popular 2925 series with even better performance, a rich feature set perfect for SMB installations and Gigabit WiFi throughput with the 802.11ac Wave 2 model. With it's powerful network redundancy, security and QoS features, this series is the perfect SMB Business Router! It is easy to install with an intuitive GUI but still offers plenty of options for advanced configurations to meet the demands of your growing business. 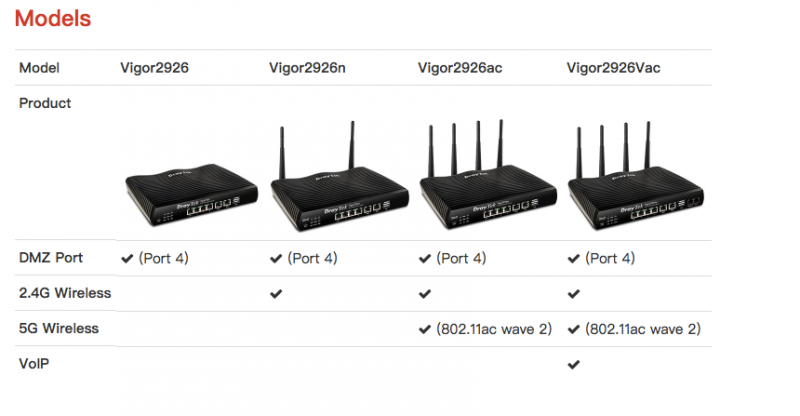 This series consists of the non-wireless 2926 model, 2926n model with single-band 2.4 Ghz WiFi, 2926ac model with 802.11ac Wave 2 WiFi and the 2926Vac with VoIP features and FXO/FXS ports. 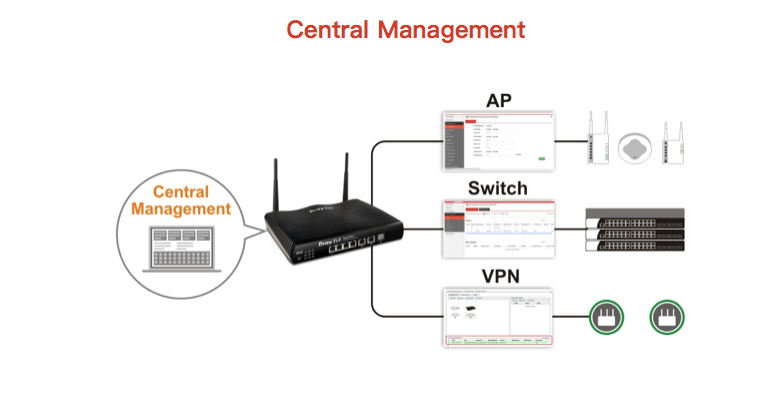 We love the central AP and switch management feature set on this router which lets network administrators manage their DrayTek Access Points and network switches right from the router's interface! Click here for more information on all the available Central Switch Management features on DrayTek routers. This series of routers also supports DrayTek's ACSv2 Platform and ABP's IPTechView platform for powerful centralized management and monitoring for MSPs, ISPs and large multi-site projects. Click here to learn more about our IPTechView platform!